Komodo National Park is located on the West Mangggarai Regency in East Nusa Tenggara. The Island has popular as the original habitat of Komodo Dragons, the largest lizard on the earth. Currently, the data from 2009 said that on Komodo Island living about 1300 dragons. There are other which is living on near of Komodo Island, such as Rinca Island, Gili Motang and Wae Wul. So in total from each island are 2500. Komodo National Park is the UNESCO World Heritage Site and the winning New 7 Wonders of Nature in 2011. Komodo National Park also keeps the exotic flora, there is a variety of Python Wooden. These wooden can use for the medicine and materials coloring. Komodo Island is part of the National Park beside Rinca Island, Padar Island and other small islands around. As the World Heritage Site, the National Park becomes one of the popular and the main destination for travelers. It is always an amazing thing to see the Giant Lizard called Komodo in their habitat. 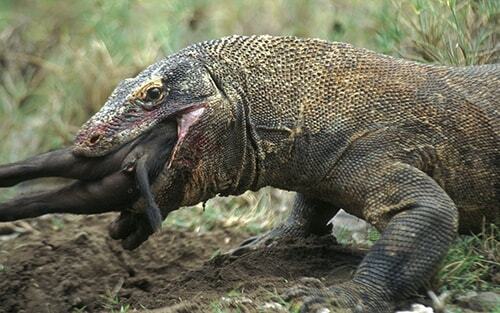 To see the Komodo Dragon, you can join us on the Komodo Island Tours with the special offer. In 1980 the National Park was established to protect the Komodo Dragon and its habitat. There are 277 species of animals that are a mix of animals originating from Asia and Australia. There are 32 species of mammals, 128 species of birds, and 37 species of reptiles. Together with the Komodo Dragon, at least 25 species of terrestrial animals and birds including protected animals. This is due to their limited number of spreading. In addition, in this region, there are also coral reefs. There are at least 253 species of coral reefs found there, with about 1,000 species of fish. The beauty of this reef attracts foreign tourists to swim or dive in these waters. These islands are originally volcanic islands. The population in this area is approximately 4,000 inhabitants(data taken from Wikipedia.org). When you decided to go for Komodo Tour Packages, make sure you book the tour in advance. Get a special offer with the professional tour guide and book online.